Welcome to the fundraising homepage of Team Humbabe! Team Humbabe was formed in 2010 in honor and memory of my father, Ed, and my late husband, Ken. Both fought but lost their battles against blood cancers. 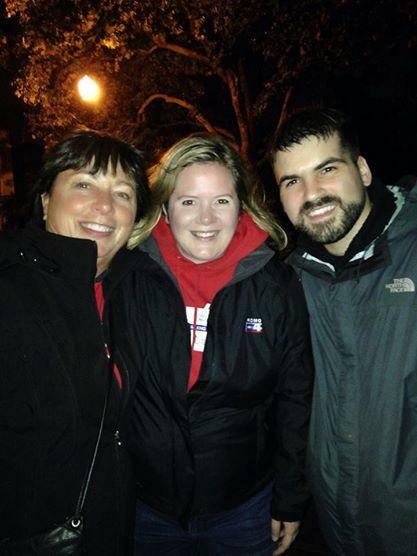 Team Humbabe participates in the Leukemia and Lymphoma Society's Light the Night Walk. This year the walk will be held October 25th at the Seattle Center. This is the perfect fundraiser for us to remember and honor those who have lost their fight against these blood cancers and to fund research in order to give hope to those currently fighting these cancers. Please join our team's effort by making a donation or joining our team! We believe our efforts will save lives.